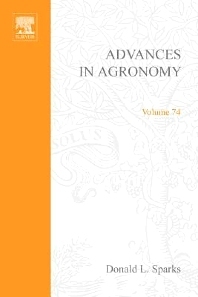 Volume 74 contains six excellent cutting-edge reviews detailing advances in the plant and environmental soil sciences. Chapter 1 is an extensive review on soil quality. Chapter 2 covers recent advances in understanding the formation of metal hydroxide precipitates on soil surfaces and their implications on metal sequestration and soil remediation. Chapter 3 is a timely review on effects of organic acid exudation from roots on phosphorus uptake and aluminum tolerance of plants in acid soils. Chapter 4 discusses bamboo production and management, including manipulation of growth and development and environmental aspects of bamboo production. Chapter 5 addresses a significant worldwide issue - management of soils for food security and environmental quality. Chapter 6 is a comprehensive review on the management of wheat, barley, and oat root systems.